A photoshopped image of a Biafran airline circulating on Facebook, provided by the author. In 2008, after his father died, Mr. Sylvester opened his father’s locked cupboard. It was full of Biafran money. Nearly forty years after the failed secession’s end, the notes were slightly warped but still crisp. He ran his thumb over the bluish palm tree and tilted it towards the light to see the printed words “BANK OF BIAFRA.” Mr. Sylvester and his mother had earned these notes during the Civil War, while his father had been on the run from military conscription. When I spoke with Mr. Sylvester in Lagos in 2017, he was nearing seventy years old. He opened a worn hymnbook on his desk and, from between its pages, pulled out one of the Biafran notes. Since finding them in 2008, he liked to keep them close by. Examining it in his hands, he said, “At the end of the war, they told people to deposit their [Biafran] money into the bank, and then only gave them ten [Nigerian] pounds in return, thinking that they could suppress the Igbo.” Only a few notes remained from his father’s cupboard because Mr. Sylvester’s children had taken them over the years and given them to their friends. Mr. Sylvester did not seem bothered by this. On the contrary, he was pleased that his children were excited to talk about Biafra with their peers. In the past two decades, Biafran notes from the 1960s have resurfaced as memorabilia, artefact and, controversially, as currency in Nigeria. Although the federal government ordered for its destruction at the end of the war, Biafran money remains one of the more pervasive material artefacts from the 1960s Biafran state. It can be readily found in local curio markets, online sites like eBay, and private family collections, like Mr. Sylvester’s. Most recently, in the past two decades, controversies have flourished surrounding the revival and usage of Biafran money in markets in eastern Nigeria. 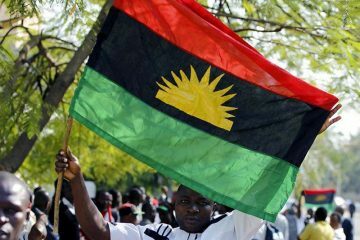 But money is only one of an array of Biafran symbols that have emerged as Biafran commemoration movements and political secessionist activism have swelled in the last few decades. 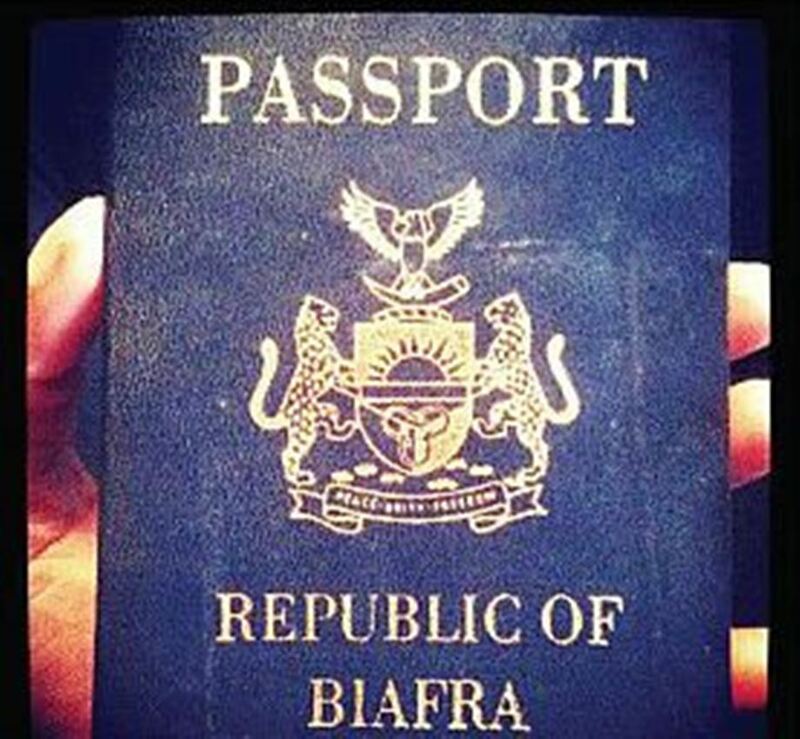 Online images and memes promoting Biafran agitations pulse through social media and often feature photo-shopped images such as Biafran passports, embassies, airlines, athletes, and other material objects that have come to symbolize a modern nation. Not surprisingly, resurgent interest in the Biafran pound in the recent decades has mirrored swells of Biafran activism. 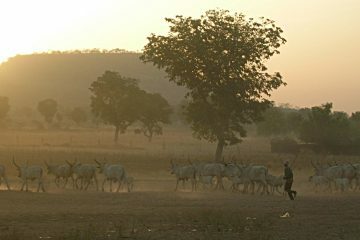 Both prominent pro-Biafran organizations, the Movement for the Actualization of the Sovereign State of Biafra (MASSOB) and the Indigenous People of Biafra (IPOB), have initiated controversial actions concerning attempts to revive Biafran currency and the printing of Biafran passports.5 Although such actions have not been systematic enough to realistically challenge the Nigerian government, their power lies in their symbolism. In 2012, I began my dissertation research amongst Igbo Nigerian merchants working in trade sites across Asia, the Middle East, and Africa. As I was drawn into these social networks, I began receiving regular circulating memes and chain messages on social media and messaging applications. Much like this genre of online communication elsewhere in the world, they largely consisted of humorous images and videos, religious advice, inspirational stories, and daily life moral parables. 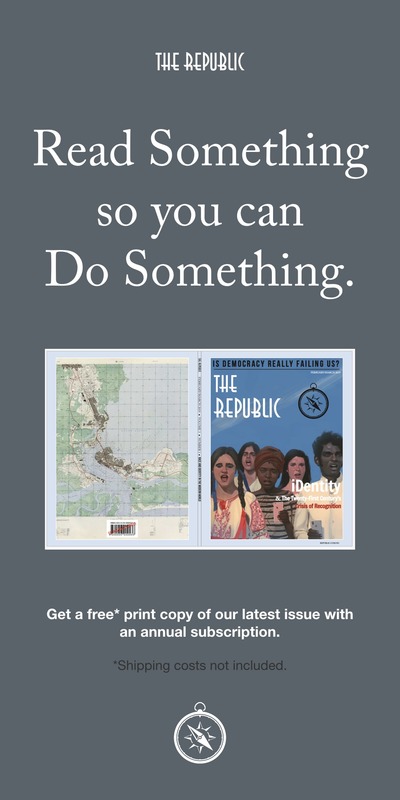 They also increasingly included images, videos, and memes concerning Biafran activism. One circulating video featured a professional boxer competing in Cambodia as a Biafran representative, with a small Biafran flag appearing opposite a small Thai flag. In this television clip, Biafra appears at first glance as a discrete political entity with the same status as other countries competing in the boxing tournament. Public arenas such as international sports, nationalized companies, airport customs and borders, and transnational political bodies are key symbolic sites of contemporary nationalist expression. 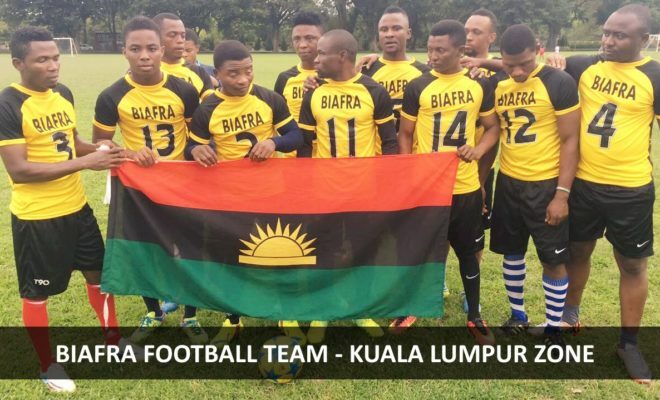 Such aspirational images are certainly not unique to the Biafran context; secessionist movements worldwide are responses to the modern nation-state system. The nation-state is not simply a parcel of territory, encapsulated neatly by lines penciled on a map. Instead, it is a concept that is continually being reinforced, re-conceptualized, and redefined. Who is part of the nation, on what terms, and how might it be different? Mr. Sylvester will likely spend roughly equal parts of his life in each of Nigeria’s three major regions: in the Southeast from the 1950s to 1970s; in the North from the 1970s to the early 2000s; in the Southwest from the 2000s to the 2030s; and, he hopes, back to the Southeast for the last years of his life. He had once anticipated spending most of his life in Kano, where he had built a house, schooled his children, and owned a store. 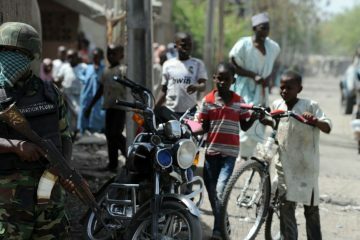 But after witnessing a few horrific bombings and the growing unrest wreaking the region, Mr. Sylvester and his wife were forced to abandon their ample property and business, relying on the hospitality and generosity of distant relatives, church members, and strangers to set up their new livelihoods in Lagos. Some of the popular circulating Biafran images feature gleaming new highways, buses, cars, and even a petrol station emblazoned with a “BIAFRAN OIL” neon sign. The luminous infrastructures featured in these Biafran memes contain pointed critiques at the current state of Nigerian infrastructure, both under federal and state political jurisdictions. 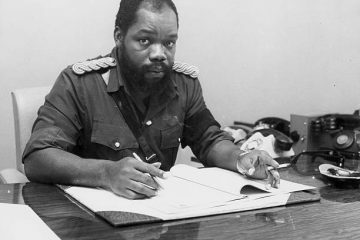 While making an argument about the reintroduction of Biafran currency, Olly Owen argued that such provocations were “a method of challenging the moral economy of the state in Nigeria,” that “not only highlights interesting features of sovereignty, but redirects our attention to the dual ‘economic’ and ‘political’ nature of money itself.” Extending this observation, the circulation of Biafran memes mimics these provocations. 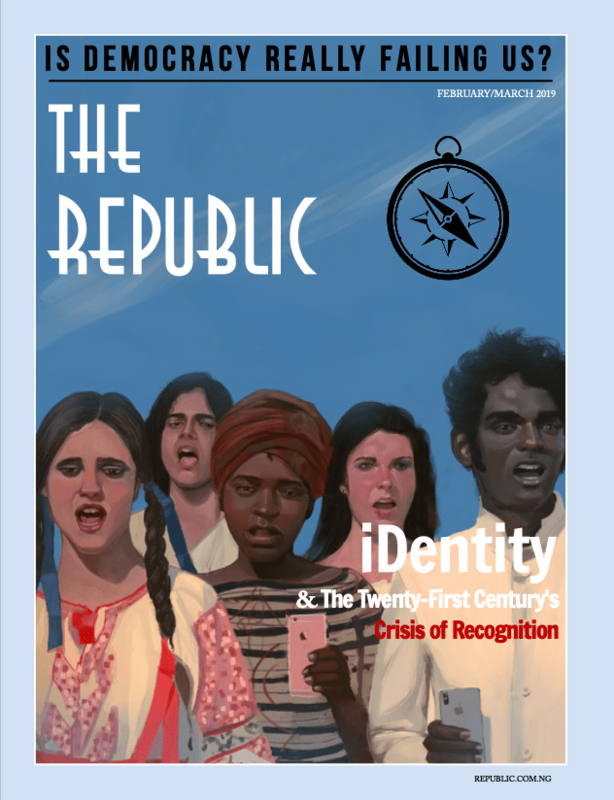 Yet questions remain: how do secessionist movements re-imagine the modern nation state? Or are they bound to simply replicate the structures they once protested? When Biafra seceded in 1967, it was still using the Nigerian pound as currency. 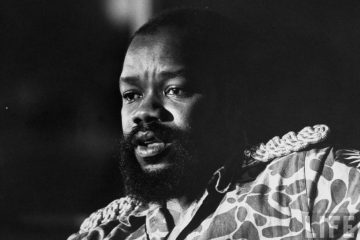 The Nigerian government attempted to control and quash Biafra’s ability to engage in foreign exchange by introducing a new Nigerian pound in 1968, which would render all Nigerian pounds in Biafran territories valueless. Subsequently, the Biafran government began minting their own currency, the Biafran pound, in 1968. By the war’s end in 1970, an estimated £115 to £140 million Biafran pounds were in circulation before its collapse. One of the novel’s main characters, Olanna, destroys her Biafran money while resolving to retain her Biafran memories: “She lay on the living room floor and prayed that they [Nigerian soldiers] would not find her Biafran pounds. After they left, she took the folded notes out from the envelope hidden in her shoe and went out and lit a match under the lemon tree” (Adichie 2006, p. 539). Worth stating, as a disclaimer, is that the available sources that claim the £20 policy was a way to suppress Biafrans are both sparse and written from a pro-Biafra point of view. Of course, by using the name “Lugardia” in place of “Nigeria,” the memoir authors are referring to Lord Lugard, the former British colonial governor-general of Nigeria, to highlight the postcolonial government’s continued ties to the British government. See Olly Owen’s piece “Biafran Pound Notes” for an in-depth analysis of Biafran currency and money. Most recently, the Abia State government arrested suspected IPOB members for carrying around Biafran currency. 2012 Household Survey, Lagos Bureau of Statistics. is a PhD candidate in cultural anthropology at Stanford University.